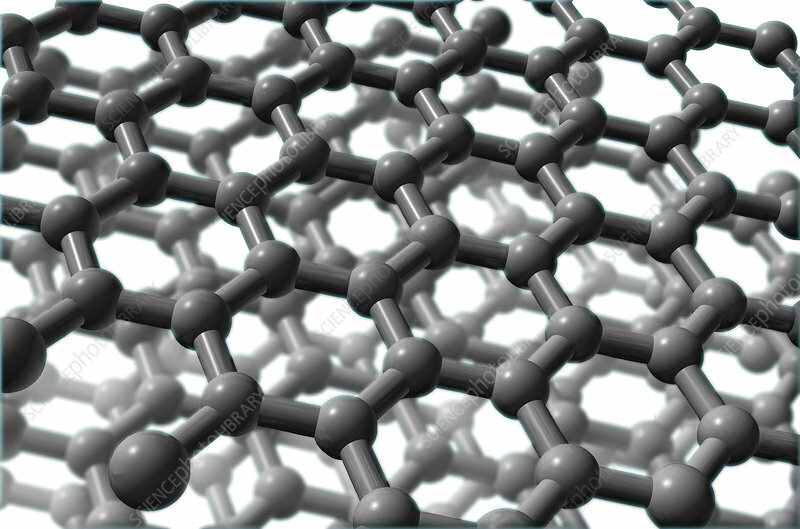 A molecular model of graphite, a mineral composed of stacked layers of carbon atoms arranged in a honeycomb lattice. Graphite is considered the most stable form of carbon under standard conditions and is used in thermochemistry for defining the heat formation of carbon compounds. The Ancient Greek word for draw/write, gave graphite its name for its mark-making ability and use in pencils. However graphite is also an electrical conductor and has been increasingly used to manufacture batteries.